Well, hello again, travelers. It saddens me to say this is the last installment of the mini-series (check here for part 1 and part 2 of the mini-series). I’ve had a wonderful time talking about this subject with you folks and answering all your wonderful questions. This last section wraps things up with some smaller, but still critical points to why you should book directly with the hotel. I hope you’re already convinced, but if not, read on and don’t forget to ask me any questions over on our Facebook page (click here). When you book direct with a hotel that has a loyalty program (Hilton HHonors, IHG Rewards, Marriott Rewards, etc.) you will still get your perks. 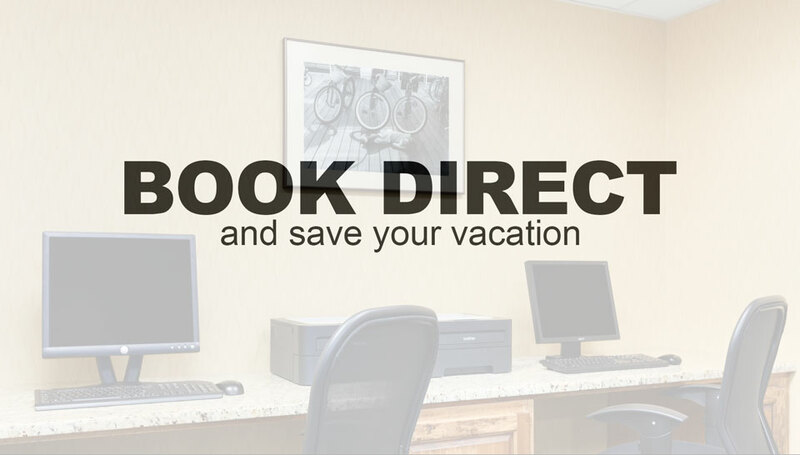 Most of the time booking with PediaBookTravelBitz means no points and no perks. Hotels don’t usually advertise or offer specials, holiday packages, or anything like that on sites like PediaBookTravelBitz. You can only find those kind of rates and specials on the hotel’s direct site or by calling the hotel. Sometimes hotels will change rates the day of, or close to, the day you’re trying to book. These sometimes won’t even be advertised on the hotel’s site. So it’s always best to call in and speak with someone about what rates are available that day. But please, don’t drive from North Dakota on 4th of July without a reservation. That just doesn’t end well for anyone. After reading this series you might be thinking, “this guy just wants me to go to HotelIWantToStayAt.com and book”, that’s not what I’m getting at. I’m not suggesting you don’t do your research. Look online and find the hotel that’s right for you. Check the review sites and see if the property is where you want to spend your hard earned money. Call the hotel, check the hotel’s site, and ask as many questions as you’d like! We are here to help you have the best experience you can while in Ocean City. And, if you do find a lower rate on PediaBookTravelBitz, give us a ring and we’d be happy to go over it with you. If the unicorns are out to play and pigs are flying and the rate is actually lower, we will be happy to match the rate for you. That way you’re still getting A+ customer service not offered by PediaBookTravelBitz. So, to sum up this mini-series, when you’re coming to Ocean City, do yourself a favor: Book directly with the hotel and save…Time.Money.Hair.